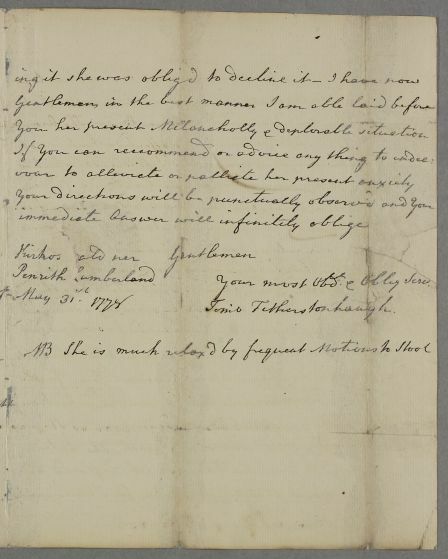 Letter from Thomas Fetherstonhaugh, regarding the case of Mrs Smallwood. 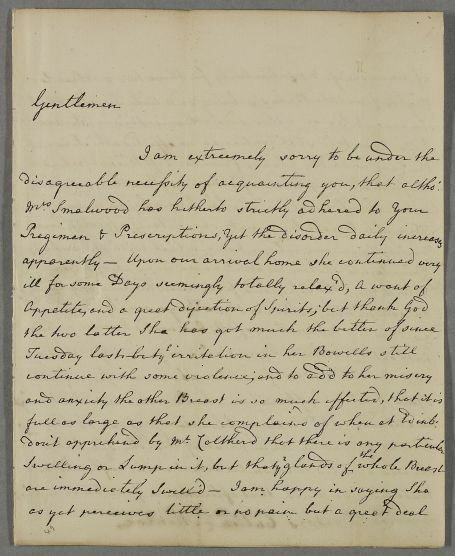 Addressed to Cullen and his colleague Dr Alexander Monro. 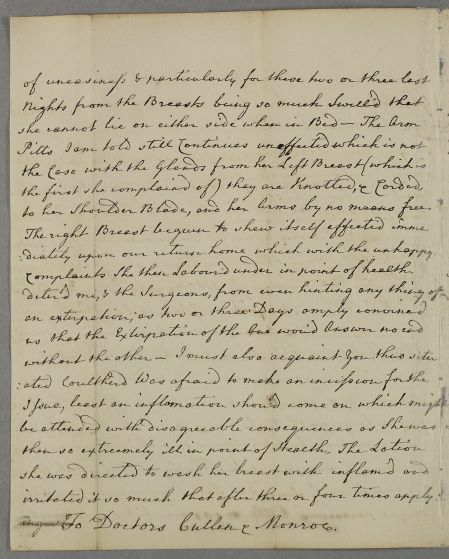 Summary Letter from Thomas Fetherstonhaugh, regarding the case of Mrs Smallwood. 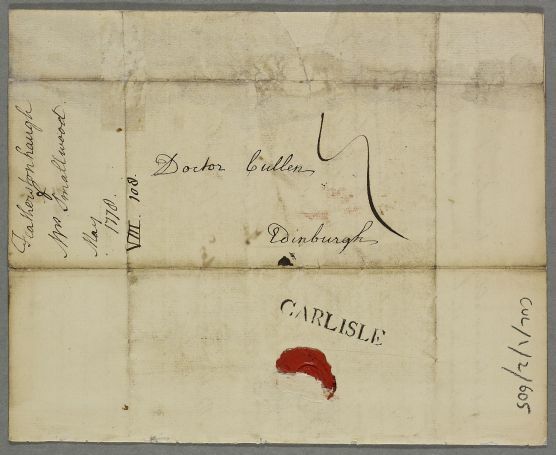 Addressed to Cullen and his colleague Dr Alexander Monro. Case of Mrs Smallwood who has a breast tumour. to her Shoulder Blade, and her Arms by no means free. Your most obdnt & Oblig. Serv.